Beautifully remodeled half duplex in centrally located and up-coming Valverde neighborhood! This unit features a new kitchen w/ stainless steel appliances, granite countertops, cabinets, etc. The new bathroom has new tile shower surround, vanity, and tub. The large windows lets in a lot of natural sunlight giving a warm and open feel. A significant amount of improvements were done from new permitted electrical, plumbing, sewer line with clean-outs, driveway, new 6 foot privacy fence, all the doors, trim, windows, flooring throughout, lighting, interior/exterior paint, and much more! This home comes with washer and dryer hook-ups, an oversized insulated 2 car garage and an additional off street parking spot. 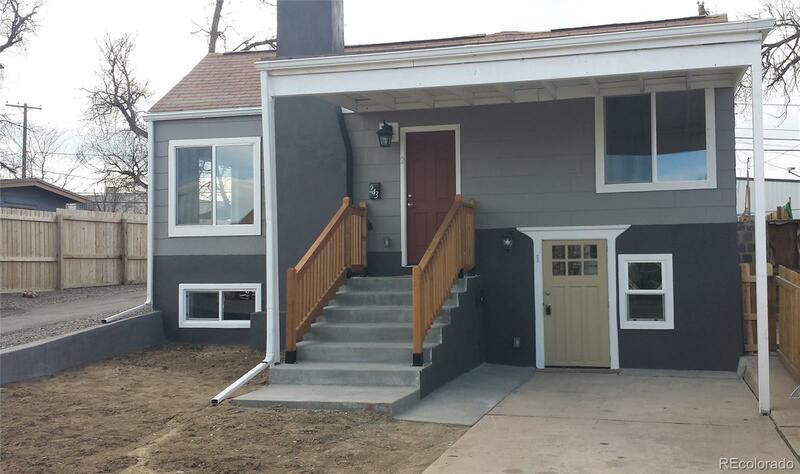 Minutes from downtown Denver!